On June 29th, 2012, the EU leaders endorsed the decision of the General Affairs Council Montenegro to start accession negotiations - 2 years after the country received a candidate status. 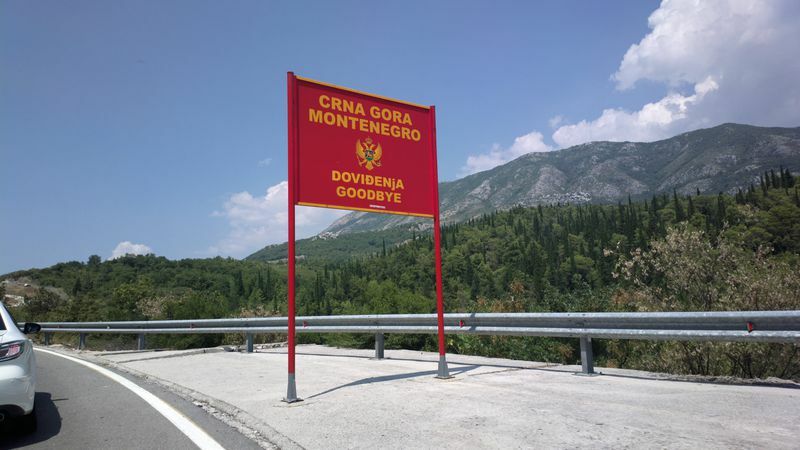 The stakes are high because Montenegro is famous with its organised crime and corruption and is even described by some analysts as a mafia-state. The stakes have grown higher for the small Adriatic state also because the compromise that was made for Bulgaria and Romania to join the EU unprepared, with a mechanism the purpose of which was to assist the two countries in completing the reforms in the area of justice, actually failed. This significantly tightened membership criteria, enhanced caution and distrust toward candidate countries and especially toward those who have issues precisely with organised crime and corruption. From such a point of view it is important to understand what Montenegro is going to handle these stakes and the challenges ahead, especially having in mind that purely economically the situation is not thriving. This is why we met in Podgorica with the chief negotiator of the country with the EU, Mr Alexandar Andrija Pejovic, until recently Montenegro's ambassador to the EU. What at first sight catches attention when meeting him is that he is young and speaks a very good English. Although his agenda was very tough, in spite of the vacation period, the agreed a week before appointment for the interview was kept and Ambassador Pejovic was just in time for the shooting. Another thing that also impresses in the very beginning is his openness and optimism. For Montenegro the process of accession is important not that much membership, he says and adds on the occasion of the arguable results of the mechanism for Bulgaria and Romania that the failure of this mechanism is a lesson for the Commission and the member states, not for Montenegro. 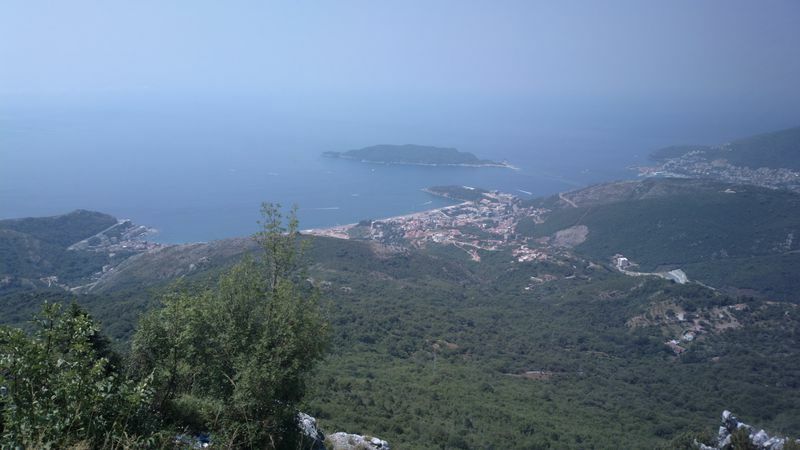 For the tiny mountain state, with magnificent sceneries and a sea outlet on the Adriatic, with population of a little over 600 000 people, the very fact of starting of accession talks is a signal that it is time for the real work to begin. In Ambassador Pejovic's words, beside that there is enlargement fatigue, in the Balkans there is a talk of an integration fatigue from waiting against the backdrop of the lost years in the 1990s. Montenegro wants to join the EU with clean conscience and not to be a burden as for the Union and for itself. This is precisely why the country is not afraid from the difficult road ahead and is cautious in setting up targets. To the question whether he can commit even hypothetically to some deadlines when Montenegro could complete the negotiations, Alexandar Pejovic says with a lot of conditionality that he hopes this to happen this decade (2018 or 2020), so that Montenegro could be included in the Union's plans for the next multiannual budget as of 2021. This, however, will depend on many things, he continues, as the main risk stems from the region. The chief negotiator does not name any particular source of danger but pointed out that a possible instability in the region could have an impact as on Montenegro's integration process, so on economy and society in general. Another danger on Montenegro's path are the developments in the EU itself - the lack of clarity what sort of a Union Montenegro will join. 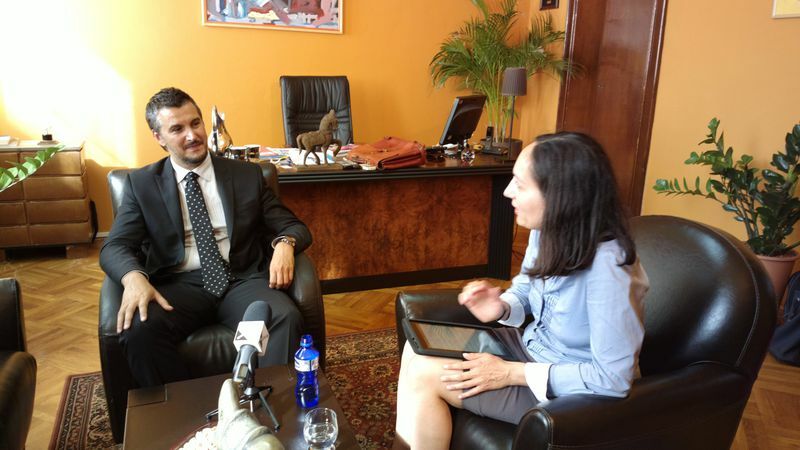 Ambassador Pejovic assures, though, that his government follows very closely the developments and is ready to adapt on the move to the changes. For this the European Commission is also very helpful, he said. The ambassador does not hide that domestically the fight against organised crime and corruption is the biggest challenge. His answers, however, strongly remind a very typical Balkan feature of underestimating reality in the desire not to show fear. Alexandar Pejovic speaks about the biggest problem of his country in the same vein as many other politicians from the region before him, with which they did not contribute with anything positive, saying that in fact organised crime and corruption are not inherent problems, specific for his country, but that they persist in other countries as well. This is rightly so. What distinguishes these "other countries", though, is that they have established the rule of law - that is something that makes everyone equal. Ambassador Pejovic speaks confidently and assuringly that Montenegro will tackle this problem as well because it is small and easily manageable, and also because of the new approach which the European Commission introduces for the first time for Montenegro - starting accession negotiations from the toughest chapters 23 and 24 ("Judiciary and Fundamental Rights" and "Justice, Freedom and Security"). In Pejovic's words, the mechanisms the Commission will apply for control and verification of every stage of the work on these chapters, as well as the peer reviews by member states, ensure success. Be it because of confidence and determination, which the ambassador underscored for tackling this significant problem, or for another reason but I remained with the feeling that for Montenegro a much bigger danger pose the negotiations on chapters "Agriculture" and "Environment". This, according to him, are huge and very difficult chapters because, except pure alignment of the legislation, it will have to be implemented and especially "Environment" is an expensive area which requires a lot of human resources as well. Probably, the focus on this chapter is due to the fact that Montenegro is the first country to raise environment to a high legal level - in its Constitution. 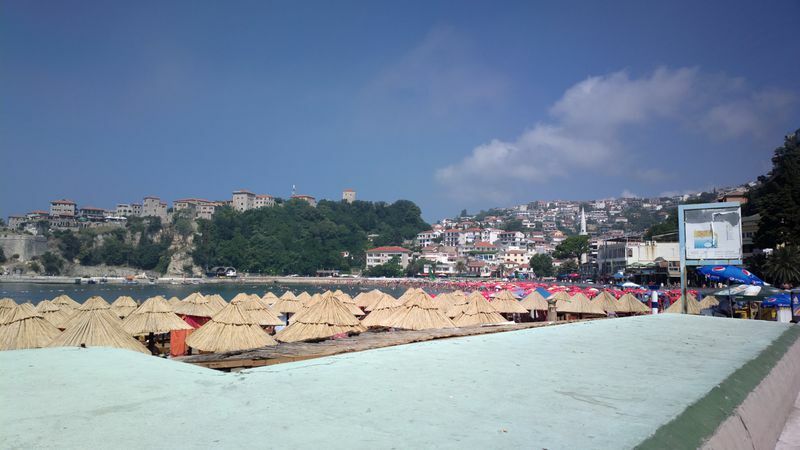 But passing through the country clearly shows that there is still a lot of work to be done until the country reaches what it has set as goals in its main law - part of the coast line is over built-up, local people say there is a lack of any regulation, a problem very well known in Bulgaria as well. Ambassador Pejovic avoided being more specific because, according to him, more clarity on what Montenegro is facing will be available when the screening process ends, which is expected in the summer of next year. Then, as if impatiently the chief negotiator's words sounded, Montenegro will immediately open the two problematic chapters - 23 and 24. And despite the hope the talks to end this decade, Alexandar Pejovic says with a clear conscience of the paradox that the longer the process takes the better. His words leave the impression that he is fully aware that there will be no compromise with his country and that the reforms have to be taken to their very end. Let's hope this will be so because right after the hard road to EU membership, Montenegro will have to walk toward the euro area. The reasons for this are unique for the EU. The country is the only one that has unilaterally introduced the euro (first it was the Deutsche Mark), without being bound in any way with the rules that govern the monetary and economic union. The euro brought only good to the country and in spite of the eurozone problems Montenegro is resolute that its place is there. Of course, everything depends on whether the euro area will survive but even the risk small Montenegro to have to pay for rescuing much bigger Greece, for instance, does not scare it. The reason for this is prosaic - Alexandar Pejovic believes that up to the moment when Montenegro will be ready for membership in the eurozone, the criteria and mechanisms will be much stricter and the current deficiencies will be removed. euinside: First of all I'd like to congratulate Montenegro for starting the accession negotiations but do you think that the country is ready because this is a long and bumpy road? Alexandar Andrija Pejovic: Thank you first of all for the congratulations. On the readiness of the country, you know, there is a lot of talk about the enlargement fatigue among the member states but you have to bear in mind that there is also some talk of the integration fatigue in the region and when you count the years lost in the Balkans throughout the 1990s, you can see that many countries are actually very much tired of waiting. So for us the decision to open accession negotiations was a great signal a good sign that we can finally start the real work. Until now everything was actually preparation for the real process that starts with the negotiating specific chapters. I would say it came in the right time - 6 years after our independence and I deeply believe that we are ready to tackling diplomatic issues but also start posting aside those parts of the acquis or the integration, let's say, chapters, that we have aligned or we have almost aligned with. euinside: Are you afraid that because of that fatigue you were talking about and because of some bad experience that the Union had with some countries in the region, namely Bulgaria, Romania, Hungary recently, that the conditionality on Montenegro would be much stricter? Even now the Commission is experimenting for the first time with turning the accession order up side down, starting with the toughest chapters? Alexandar Andrija Pejovic: Well, we are not afraid with the very process. We know that it has changed. It was changed for the countries in the previous enlargement circle, mainly Croatia, Turkey or Iceland in this sense that it really differed from the big-bang enlargement of the 1990s or the 2004, so in a way there are new circumstances that we have to be aware of and I think that the new approach of the European Commission is an excellent way on how to disperse all the doubts that the country enters the EU being not ready. It's good for the sake of the country but it's also for the member states because once you've fulfilled all the criteria and you showed that you really did the homework and achieved the necessary level needed for the integration, for the entry, you can be a reliable partner, a reliable member of the family. So, the point and the goal of Montenegro is to join the EU with a clean slate in this sense that we do not have something as a burden or something like a baggage which can burden our membership in the EU. And you see also that the very nature of how the Commission works on the countries of the enlargement has changed. Now it's not their opinion or the reports that we send to DG Enlargement but it's also various sorts of international organisations reporting methods and also verification missions. There are lots of member states that send their experts who come to Montenegro to verify the fight against organised crime and corruption, the state of the economy and so on. So with all this, along with the, let's say, proposed Europol report which will come up with a report on the screening for chapters 23 and 24, this all should help to get a better picture of the country and it will give us a sort of a better blueprint of what we have to do. euinside: Yes, but do you think there is a risk because of Montenegro, just like many countries in the region has these problems with organised crime, corruption, things like that, do you think there is a risk that the negotiations on these two particular chapters could take much more time and actually prolong the accession process? Alexandar Andrija Pejovic: ... how the implementation works and how we build a track record. euinside: Do you have some of the countries as a role model even with the negative experience and I'm talking particularly about Bulgaria and Romania who as also an experiment of the Commission having being accepted with this Cooperation and Verification Mechanism in the area of justice and home affairs, which is quite arguable whether it's a good one or not, so do you draw the lessons from these things, how do you draw these lessons? Alexandar Andrija Pejovic: Well, it's actually not us who draw the lessons. I think that the Commission and the member states drew lessons from the CVM and then realised that the Cooperation and Verification Mechanism does not possess one thing that the enlargement or the pre-accession period has and that is a strong and convincing tool of making country do its homework. So, after the lessons learned, now there is a new approach, so basically even when you look at the Croat accession, what they did in the last year of their accession, meaning a year or two ago, it's what Montenegro does at this point, at the beginning of the accession negotiations. 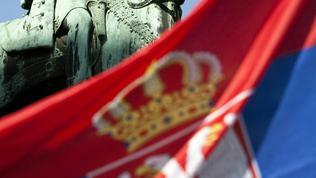 euinside: So, is Croatia your role model? Alexandar Andrija Pejovic: Well, you cannot make a role model because now basically you have Croatia started dealing with the rule of law very late in the accession process because most of the chapters, these two chapters, were blocked because of other issues such as the Hague tribunal and some other things, so we cannot draw conclusions from their timeline of accession because we intend to open the chapter immediately next year and then to have 4-5 years of constant monitoring, constant tables and matrix that are sent to the Commission, to the member states, where they can see how each, let's say, case on organised crime proceeds until its end. So, that's a big difference. With Iceland it is a completely different kind of accession, Turkey is in a completely different one and now you cannot have actually parallel processes which are very similar. The very nature of enlargement has changed completely - I mean not only the approach but also the substance, I mean the countries that are negotiating. euinside: Do you see, aside from these two chapters, any other chapters that could pose a challenge for Montenegro? Alexandar Andrija Pejovic: Yes, of course, I mean there is a number of various specific things that will, let's say, pose challenges. I would say that Agriculture will present really, will ask a great effort when it comes to the alignment but also the implementation; Environment is a very costly and human resource-demanding; then you have a lot of chapters, financial chapters, that you have to align with and follow the procedures. So, it will be a very disproportionate process in this sense that once you move in a specific chapter very easily and the other you have to wait for some reforms to happen or for any institution to be made or let's say for the legislation to be completely finalised. It will show where the country stands. Once we have the screening finished in the summer time next year, we'll have a better idea how much time the country will need and where we stand. euinside: You sound quite optimistic with all these changes, the enlargement process being changed but the EU is also undergoing certain changes, legislation, the eurozone, do you have this in mind, do you feel like you have to aside from changing yourselves but change with the EU together? Alexandar Andrija Pejovic: Definitely. The key thing here or the key word here is strategic approach in the sense that you cannot think for a year or two - we have to think about the whole process of enlargement of our country negotiating, but also we should think about the moment we are a member state, so about the 2020s - where the country will stand, how it can contribute to the EU and what is our role as a member of the EU. And for example the Common Agricultural Policy will probably get changes in the next years, the Common Fisheries Policy is also undergoing changes, the public procurement legislation will be changed next year, so basically the present acquis is not going to be acquis that we are going to align with. On the other hand, the whole financial package will be changing the EU in the next 5-6 to 10 years, so the EU that we join in several years will be much different than the EU from 2012. And of course you have to take into account all these specific indicators and facts in order to be able to very adaptive like the EU is a very adaptive animal, also the enlargement, the candidate country negotiating has also to follow the same logic. euinside: So, you will cope with this because it will require additional energy? Alexandar Andrija Pejovic: Of course, because otherwise we will lose too much time and resources - aligning with something and losing energy on something which is not going to be valid in one year or two and of course we have great help from the Commission which indicates which are the areas we have to take into account as the transforming once, the changing once. euinside: Montenegro is in this very unique situation - not being a member of the eurozone and in the same time having the euro. Do you plan during the accession process to step by step introducing some kind of the new legislation that is being adopted for the eurozone in order to be ready or maybe I should start with the question do you plan to join the eurozone at some point after accession? Alexandar Andrija Pejovic: Of course, that's the point - we became the unilateral user of the euro before the economic and finance ministers decided that there can be no unilateral usage of the euro, so in a sense we inherited this currency from the older times when we switched to the Deutsche Mark and there is a long history of why and how we use the foreign currency. On the eurozone and the preparedness, of course the Maastricht criteria are the key and after joining we will be looking into how much time we need in order to fulfil them in order to join the eurozone too. But even prior to the crisis, prior to 2009, we really had excellent results in following the Maastricht criteria when it comes to the inflation or the public debt or the budget deficit, so of course the crisis changed a bit, we had to become more flexible but in essence we are not far from reaching this criteria. The currency, the euro actually helped the country stabilise and achieve a really high level of macro financial stability. euinside: Many countries say, that are not in the eurozone, that they would like to wait although they are obliged to join at some point but they would like to wait and see what will happen, will Montenegro be part of this camp - to wait and see if this is a good thing? Alexandar Andrija Pejovic: No, I think that we are resolutely very much, we are championing the euro, we know the benefits that we got from the single currency ..
euinside: But there are deficiencies too - if you have to save Greece, to pay for saving Greece? Alexandar Andrija Pejovic: Yes, there are but I strongly believe that by the time that we join not the EU but the eurozone there will be stricter criteria and let's say mechanisms that would provide for a better approach to those countries who are members of the eurozone. So in a sense all these deficiencies that are felt now at this moment will be rectified in the next years. We'll see how the situation will go. Of course, if the things do not progress in a positive way the country will see its strategy but for us the euro has really created immense benefits when it comes not just, as I told you about stability, but also for tourism and positioning within the region. euinside: In Central Europe specifically there is a fear that Europe is going to be divided into two speeds or more speeds and there are some certain alliances being formed, led by Poland for example, does Montenegro feel it should side with some of those countries to see its interests protected. Alexandar Andrija Pejovic: Look, I think it's still early to talk of any kind of alliance even when you talk to member states they will never tell you that there is an alliance or a club within the club. The EU that we join will not probably be the 27, so it will be different, some more countries in, hopefully, I hope that we will be joined by other countries in the Western Balkans, so there will be a club joining in but also the fact that the EU will be different. We will see how in 10 years time the very nature of these several speeds Europe will be implemented or whether there will be several speeds in the European integration. I think that at this point we are carefully monitoring and seeing what's happening in the EU but of course we are still an outside body, not being the one that can influence the decision-making in the Union. euinside: Yes but you might need to build up help from the inside? Alexandar Andrija Pejovic: Of course but the very point of integration not to forget is really bringing countries together. The European integration provided for the first time and this country is independent for only the last 6 years, for let's say cooperating with Finland or Portugal, where we do not have economic or cultural cooperation with such a high level as the countries of the region or the big countries of the EU, so it's truly the very point of the European project is making friends and feeling like you're a part of the family. And of course in this process of enlargement we will see who are friends, who is helping us, who is more keen on seeing Montenegro in. There are countries that are immensely helping the process and they are not big, they are not rich but they are really focused on helping us go faster and to be more thorough in our approach on dealing with integration. 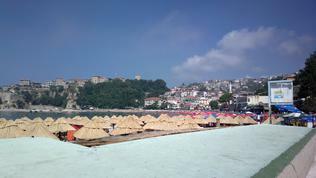 euinside: Just in the end to conclude, do you see any risk for Montenegro's EU accession on the path, afterwards? 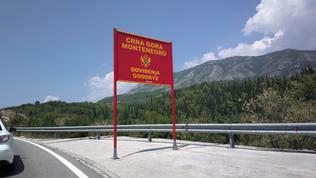 Any risk, any danger, what do you think could be a risk for Montenegro's accession? euinside: Do you mean anything specific? euinside: Because you are small? Alexandar Andrija Pejovic: Because we are small you can really implement things in a more faster way but also in quality way because you can monitor whether it is implemented. That's when you look also at the enlargement of Cyprus and Malta and some other small member states, you don't see that they had more problems as the bigger ones like Poland in their accession path. At some point in time they even had much faster gone through reforms. So, there are benefits but there are risks and me as chief negotiator and also the whole government and all the other parts of the society have to always monitor the situation and see what would be the best option on how to continue. That's why the integration of the countries lasts for several years. If you've joined in the 1990s it wouldn't be so long but now the EU that we are joining is much more complex and because of the crisis and the situation in the region it's better than the negotiation process starts longer than shorter. It's paradoxical. Alexandar Andrija Pejovic: I always get this question from all the journalists. It's really ungrateful to talk about this because of the complexity of factors. euinside: Yes, but it's a kind of setting up a target. Alexandar Andrija Pejovic: I will be able to tell you after we finish the screening next year in the sense that we get a whole picture of how and what the country has to do in the sense to progress to membership. And of course, once we pass through all the acquis and see all the necessary institutions and let's say even the projects, the practical projects like the sewage system, transport infrastructure project, we will be able to say 'we can finish this by 2018 or 2020'. Hopefully, we should join in this decade and be ready for the next financial perspective, starting of 2021. But this is also very hypothetical. I'm saying that the point, the real reason of what and why we are doing this is not to become a member but truly to use the process to change the country to better and of course better standard of living for its citizens. That's the key thing. euinside: Thank you, you sound so optimistic. I wish you every success! Alexandar Andrija Pejovic: That's why we are joining. You see, we see it in an inverted kind of way - the whole integration and joining as a tool of achieving better life and not being rich and then join the EU.